After spending about half an hour at Urquhart Castle, our group was now ready to embark on a short boat tour on Loch Ness. We could not have picked a better day to visit some of Scotland’s most iconic destinations as the bright sun and a deep blue sky created a dramatic backdrop to this ancient landscape. Loch Ness, Scotland’s most famous “loch” is about 37 km (23 miles) long and only about 1.5 (about a mile) wide in most places. 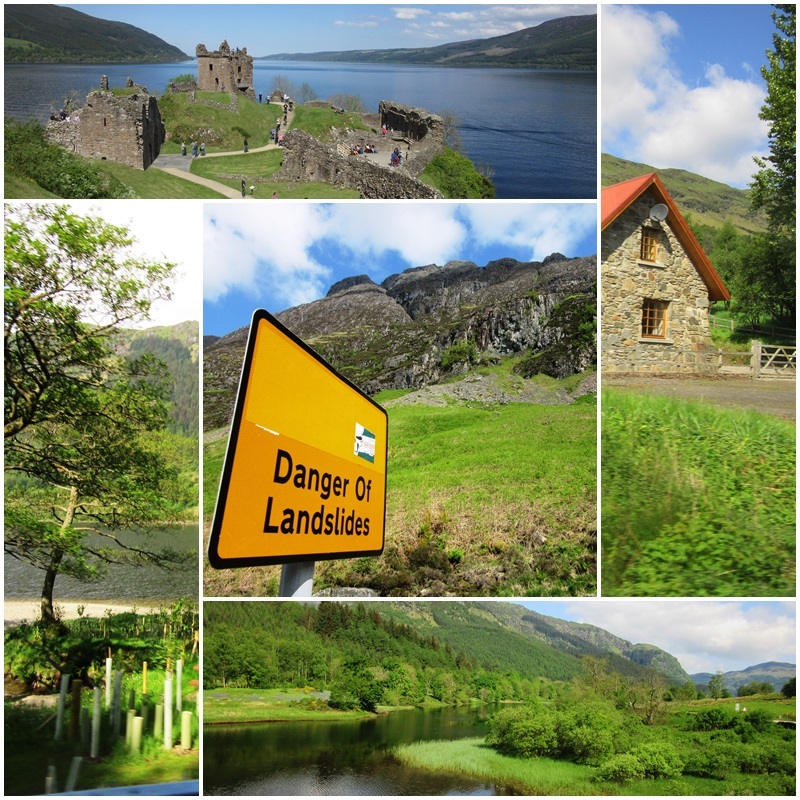 It stretches along a natural geological fault line that extends all the way from Fort William in the west to Inverness in the North. It is part of the Great Glen Fault where the northwestern part of Scotland is sliding towards the northeast whereas the rest of Scotland and England are sliding southwest. But plate tectonics is not the only interesting part about Loch Ness: this famous body of water is of course associated with “Nessie”, the Loch Ness monster, which supposedly has been sighted by various locals and travellers over the years. One of the tragic stories associated with Loch Ness is the story of John Cobb, who lost his life in 1952 when he tried to set a water speed record and his speed boat struck an unexplained wake. Some people even believe that the wake might have been caused by a large underwater animal. Today, Loch Ness also plays an important in hydroelectricity generation and has become one of Scotland’s most visited tourist destinations. 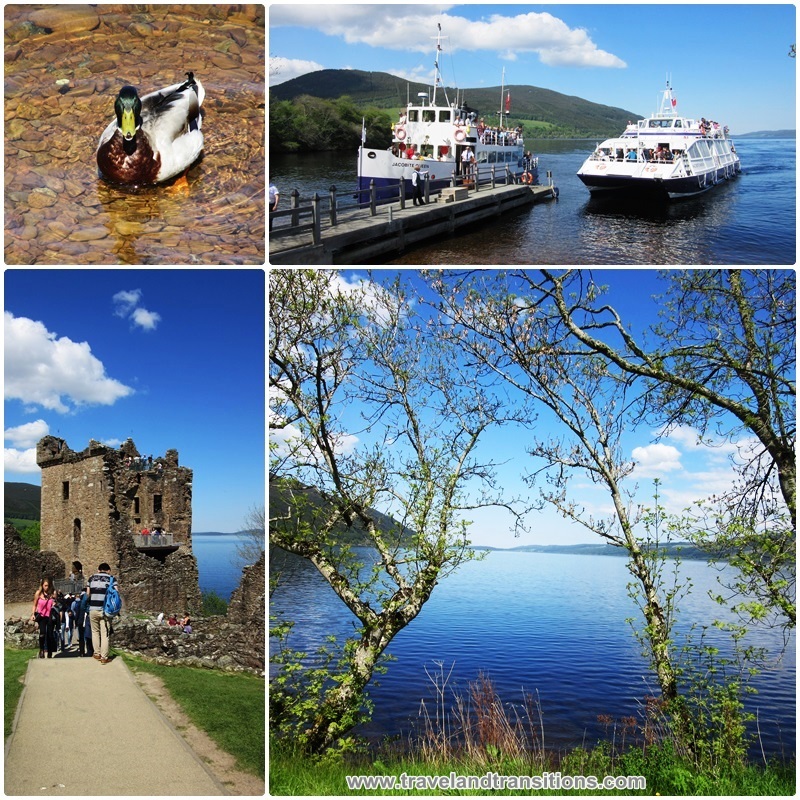 It was now late afternoon on a gorgeous May 30, 2014 and our bus excursion around the Scottish Highlands was coming to an end. Following our visit at the myth-enshrouded Urquhart Castle and a boat trip on Loch Ness we had one final stop left on our excursion with Timberland Tours: a brief stopover in the picturesque town of Pitlochry. 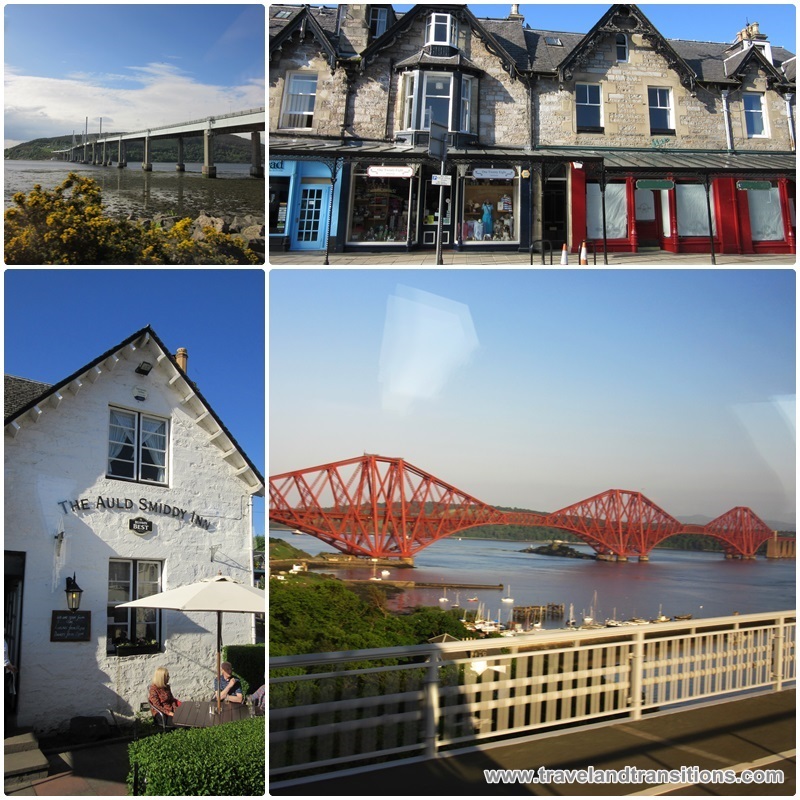 This lovely little town less than 100 km from Edinburgh became a tourist resort when Queen Victoria visited it in 1842. The railway arrived in the 1860s which made it even easier to reach this pretty town. Pitlochry is particularly popular with hillwalkers who head out into nature on the surrounding mountains. One of the famous destinations in this town is the Edradour Distillery which has been making single malt Scotch whisky since 1825. During our 30 minute stop, all the passengers got out of the bus and dispersed in various directions until I saw most of them again on the attractive main street with its Victorian-era stone-built houses. There was just enough time to stretch our feet, take a pit stop and line up for an ice cream on this sunny afternoon before we headed back to Edinburgh where we had started our Scottish Highlands tour. One final highlight was our drive across the Forth Bridge, an iconic cantilever bridge with a span of more than 2.5 kilometers (about 8,300 feet) that was opened in 1890. On this sunny day we had spent many hours in a bus, but it was definitely the easiest and most efficient way to explore the Scottish Highlands, just enough to get a taste of this striking and mysterious region. After our 12 hour long excursion through the Scottish Highlands I returned safely to Edinburgh where our bus let us out on Castle Hill right in the old part of Edinburgh. The sun was now low on the horizon as I walked down the hill towards Princes Street, Edinburgh’s main shopping street. I was strolling slowly next to the picturesque Princes Street Gardens, a beautiful public green space that began life as a “loch” (narrow lake) that was drained in the 1760s. 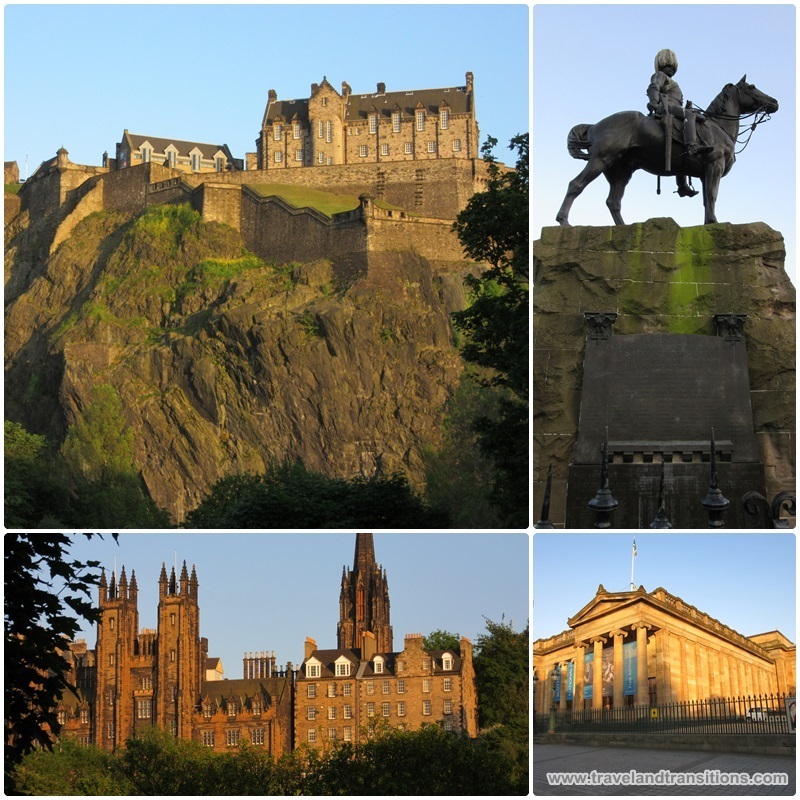 Many different monuments and sculptures adorn the walkways of the Princes Street Gardens. Looking south, I was enjoying the breathtaking vista of Edinburgh Castle which was now glowing in golden tones in the evening sun. This was a nice ending for a full day of touring the Scottish Highlands.